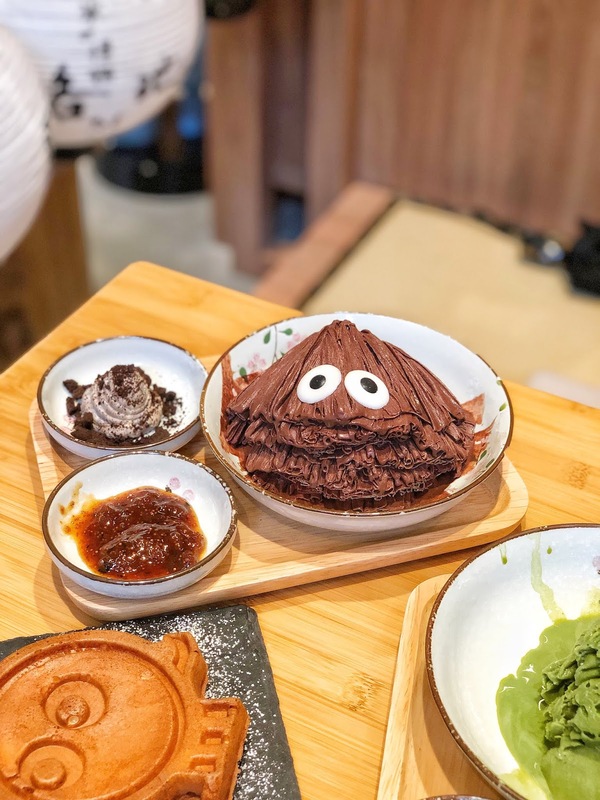 Welcoming viral Taiwan's origin dessert place in Burwood with a big smile on my face. 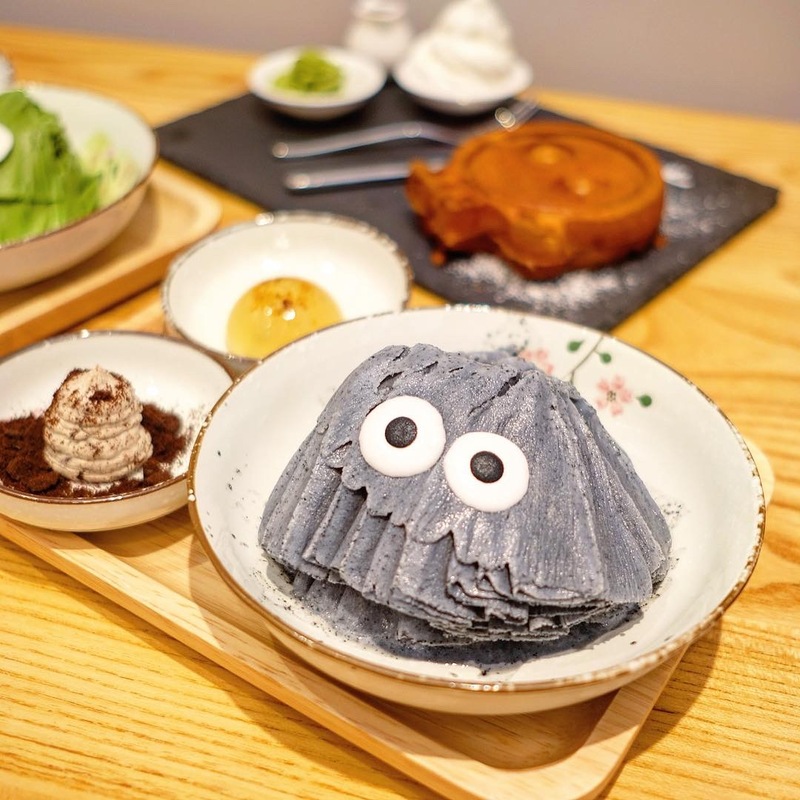 This Japanese shaved ice type were all over Taiwanese foodie Instagrammer feed some time last year and I'm dead of the cuteness. 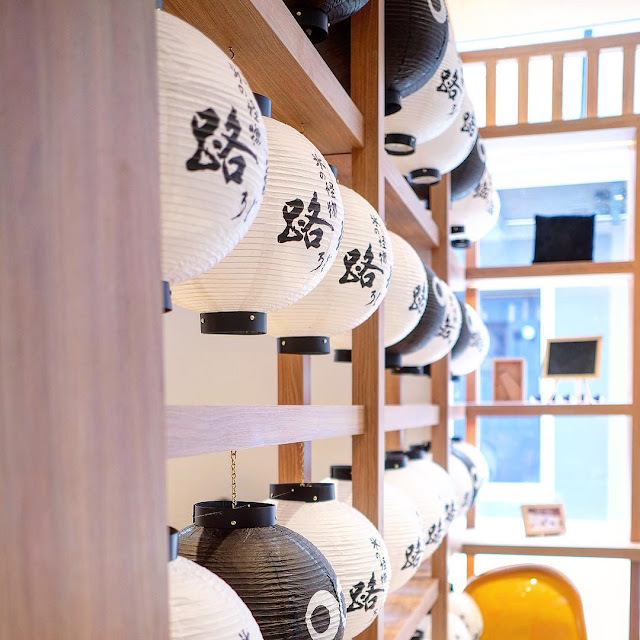 This place called Roji which means alley in Japanese, I don't know about the outlet in Taichung, Taiwan but the one in Burwood indeed located in an alley just behind the Gong Cha outlet. 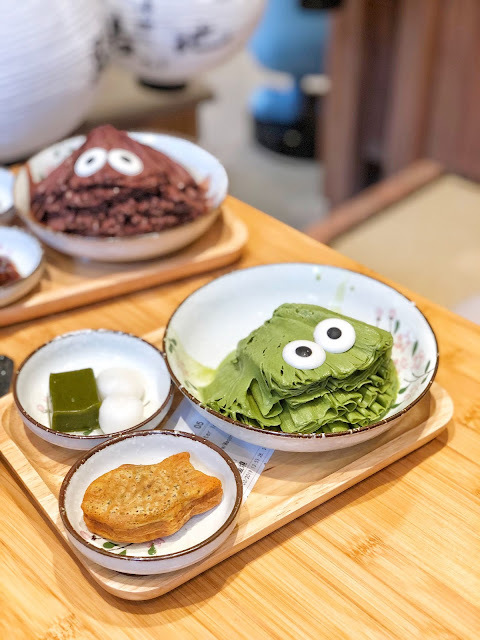 So basically this dessert place is originally from Taiwan which actually a Japanese inspired dessert place, so next time you come to this place you will not get confused on why they greet you with "Irrashaimase". 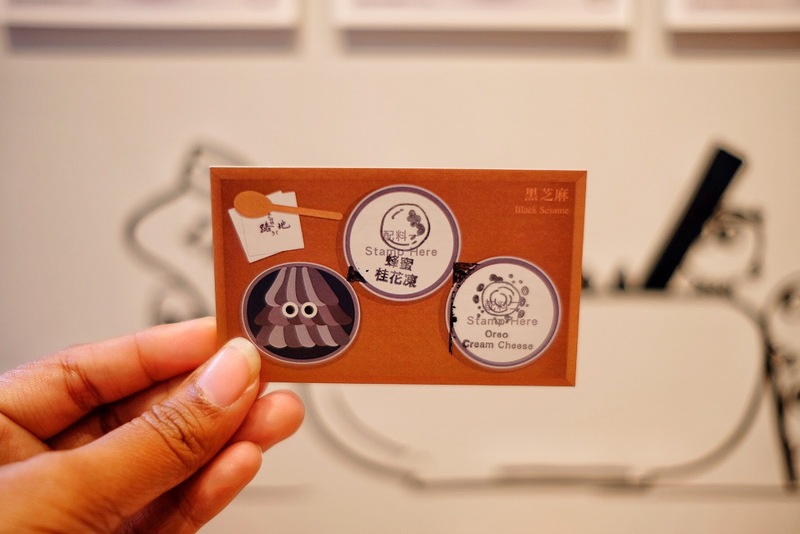 Black cute rounded shape monster will welcome you at the front of the building. Their interior is simple minimalist with normal seating and tatami seating where you need to take off your shoes and put them on provided cupboard first. So what are their unique selling point? I might say the order card and stamps. Well, you can always directly order the menu you wanted straight to the cashier but there is also another fun way to do for ordering. Right next to the cashier you will find a wall full of ice cream toppings alongside with the ice cream flavor cards and bunch of stamps on the desk. All you need to do is pick the flavor card and stamp it with 2 topping stamps of your choice and give it to check out counter. They will give you a buzzer and now you can choose your seat while waiting for your order. 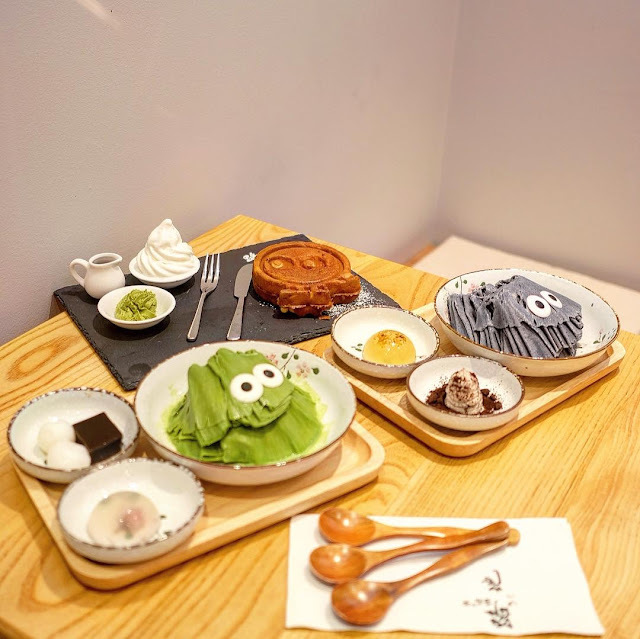 For your info, the ice cream monsters are definitely available for dine in only. 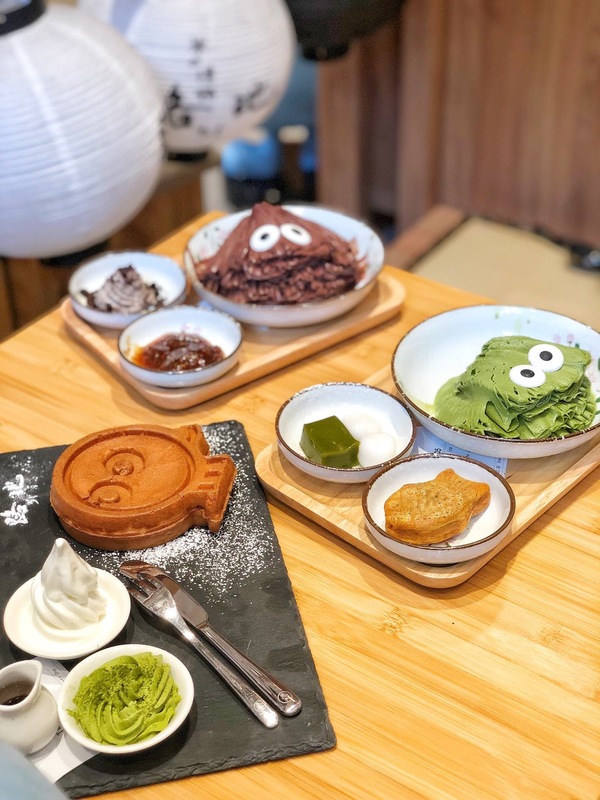 There are 25 different toppings to choose, from unique jam flavors up to mini dorayaki (wait, we got mini taiyaki instead of dorayaki). Beside Ice cream they also have Monster waffle which turned out really good. Yes it was damnn real good, I love the crispy texture on the outside and soft on the inside. It will served with vanilla softserve, matcha cream cheese and chocolate sauce. Well, even without those toppings, the waffle is already the star. Overall, I really enjoyed my time in Roji, I even been here twice and tried three flavors of the ice cream monster. It's really a suitable place for the one who love strong Matcha and Cocoa ice cream flavors like me. If you coming with young kids, you might be prefer to try the Black sesame of Milk flavor one as those are sweeter than the other two. Will definitely back to try their seasonal flavor and winter special menu on next season.